I’m using these five guiding principles as my manifesto of how to raise happy kids this year. UPDATED >>> This article was so popular I’ve turned it into a free Creative Kids Learning Guide. Click here to get your free copy. Want to know why every mum (and mom) needs Pinterest, and discover some brilliant boards to follow? I have some great picks for you today as I’m taking part in Pinterest’s PinItForwardUK campaign. 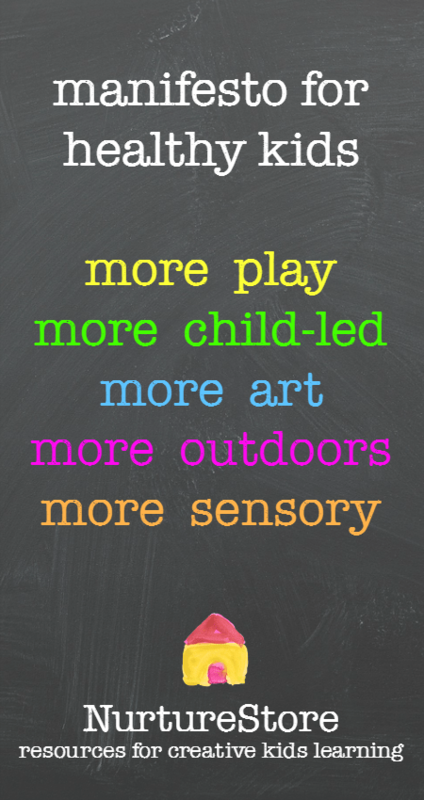 Read on to discover my top boards for all things kids. How to organize kids craft supplies :: spring cleaning! 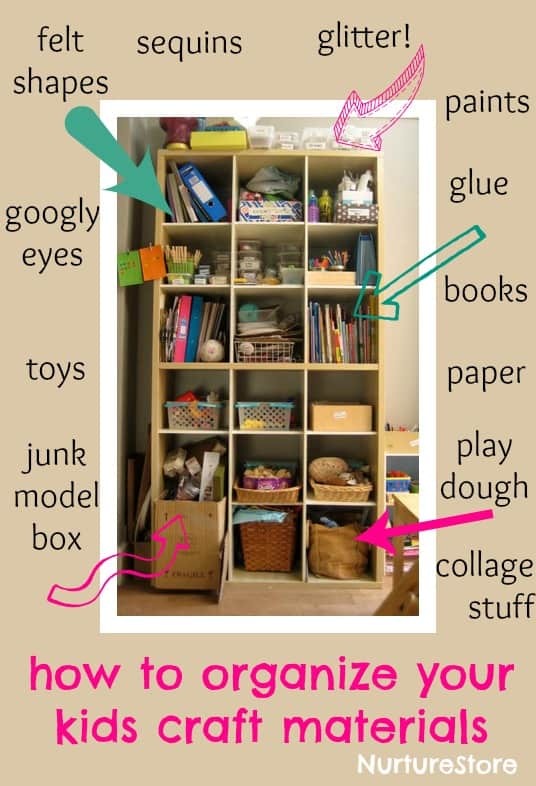 Are you spring cleaning and wondering how to organize kids’ craft supplies in your home? 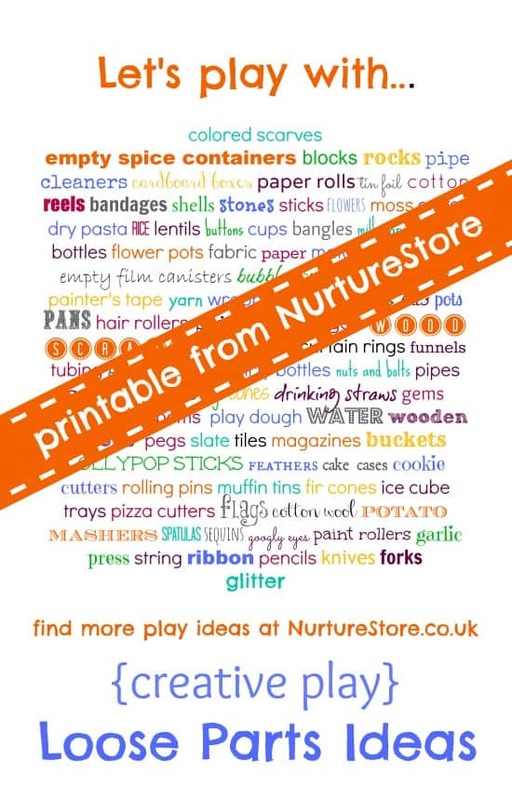 Here’s how we organise things in the NurtureStore playroom, so we positively encourage creativity but also keep things neat and tidy and know where everything is. This post is by special request from Becky at Ar-blog, who wanted to know how I organise our supplies (I think hers might me overflowing!) If you have something you’d like to see here on NurtureStore – a question to ask or an idea you’re looking for – let me know and I’ll see what I can come up with. You can always come and chat over in the NurtureStore Facebook community and send me a message. 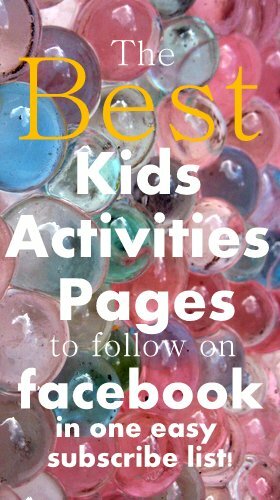 The best Kids Activities pages on Facebook: in one easy subscribe list! A super quick post today but with a super useful list for you. If you’re often looking for kids activities, wouldn’t it be great to hop into Facebook and see what all your favourite bloggers are sharing, all in one easy to find place – instead of having to trawl through your entire timeline to pick out the ideas in between status updates from your friends, colleagues and that person you vaguely remember from school? Good news: did you know Facebook now lets you set up special lists of all the Facebook pages you really love, all in one place so they’re easy to find? Do you give your children pocket money? B, who’s eight, has been asking for months and months now to start having pocket money and so far I’ve managed to put her off, saying I’ll have a think about it. The main reason for dithering is because I’m just not sure how to handle the whole pocket money idea – so I thought I’d ask you. 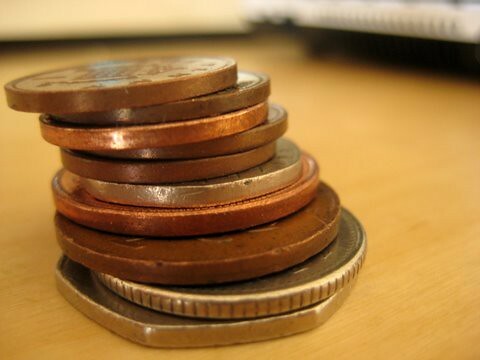 How do you deal with pocket money in your family? Here’s what I’m wondering about – and I’d really love to have your input. I don’t want to encourage the girls to be ‘consumers’ as we try to mainly buy what we need rather than thinking of things we could spend money on. Yes, we buy things of course, but we’ve never had ‘shopping’ as one of the things we do for fun. I make most of our purchases online, or buy from local shops but usually when the girls are in school. We have new toys mainly as birthday and Christmas presents and use the library for books, so I almost feel that if we started giving pocket money we’d actually have to create trips to the shop just to give them the chance to buy something with it, which I don’t want to do. Should pocket money be linked to doing chores so the girls learn about working hard to earn money – or should they be expected to do chores as part of their role within the family anyway? No-one pays me to do the ironing! Should they be given certain amounts for each task, or an overall allowance for completing all their tasks. I could easily imagine a certain person deciding never to keep their bedroom tidy because they don’t really need the 50pence they’d get for it! What would they have to use their pocket money for? Just treats or things including Brownie subs, the tuckshop at school, family and friends presents? Is it best to let children spend their money however they like and learn their own lessons when it runs out , or set rules about how much goes on treats, how much is saved and how much is given to charity? What about younger sisters? Is L too young at four to receive pocket money or is it unfair to give it to an older sibling but not a younger one? How much pocket money would I give? So many questions! Will you help me out? How do you handle pocket money in your family? What works for you and what problems have you encountered?